Author: RTB Bor. License: All rights reserved. 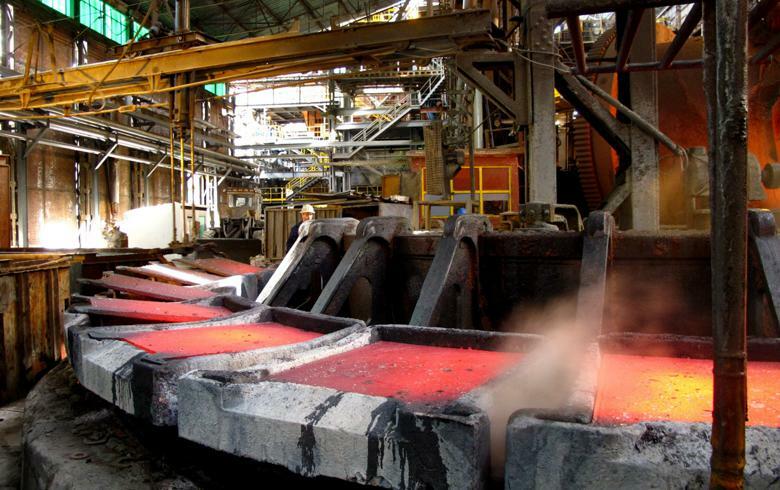 BELGRADE (Serbia), September 3 (SeeNews) – China's Zijin Mining Group has said it aims to nearly double the production of gold of Serbian copper miner and smelter RTB Bor to 1.45 tonnes in six years. "It is expected that after reaching the designated production capacity, approximately 120,000 tonnes of copper, 1.45 tonnes of gold and 10.6 tonnes of silver can be produced from the mines annually," Zijin said in a filing with the Hong Kong Stock Exchange on Sunday. The annual copper cathode production of RTB Bor's smelter plant can be increased to 150,000 tonnes in six years, Zijin said. In 2017, RTB Bor produced 700 kg of gold, 5 tonnes of silver and 43,000 tonnes of copper cathode, general director Blagoje Spaskovski said in January. Serbia's government said on Friday it picked Zijin as a strategic partner in RTB Bor. Zijin will invest $1.26 billion (1.1 billion euro) and will hold a 65% stake in RTB Bor. The Serbian company operates the Majdanpek, Veliki Krivelj and Cerovo open pit mines, as well as the Jama underground mine. Majdanpek has estimated reserves of 619.5 million tonnes of ore grading 0.33% copper, one of the largest in Serbia.